Do you like to try new things? A new challenge? I love trying new experiments. I love making cards, layouts, tags but I want something else. One of the keys to a wonderful and creative life is developing yourself. Sketch, prepare and create. Today I have a new Stampotique Designers Challenge. 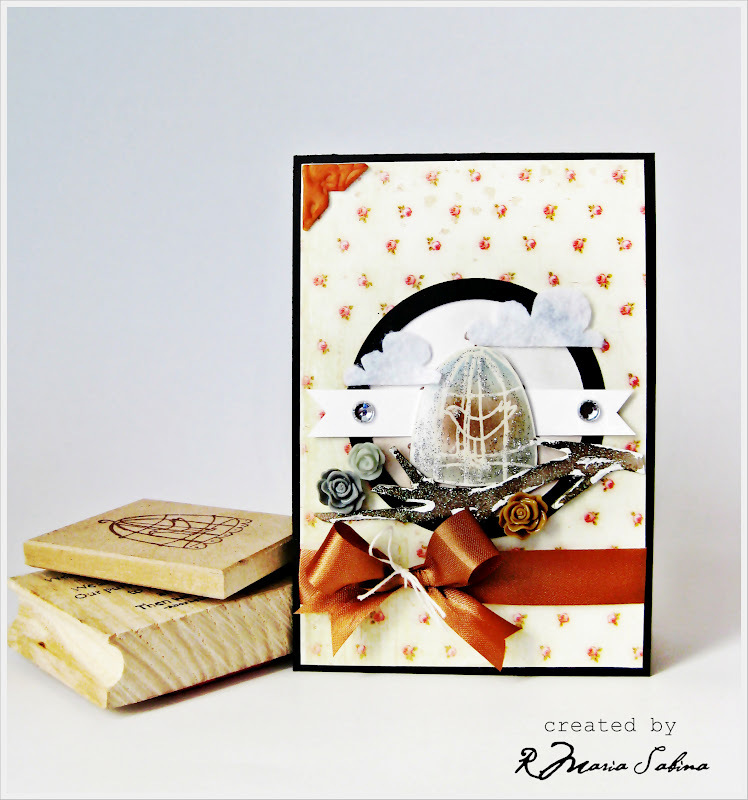 I challenge you to create an ATC (Artist trading cards). If you don't know what an ATC then here's the one I made for this challenge. Basically they are mini works of art 2 ½ X 3 ½ . 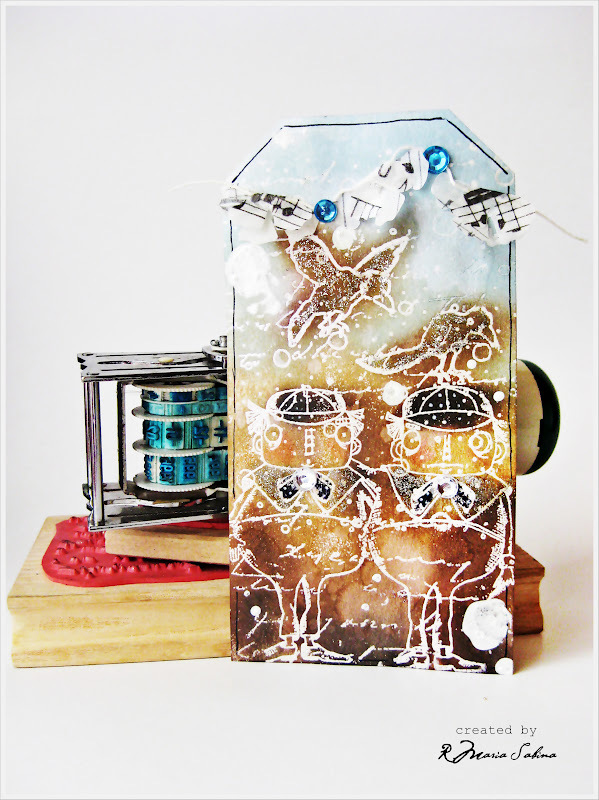 For my ATC I used Bird in a cage , Aborigine and Oh Boys ! stamps all by Stampotique. 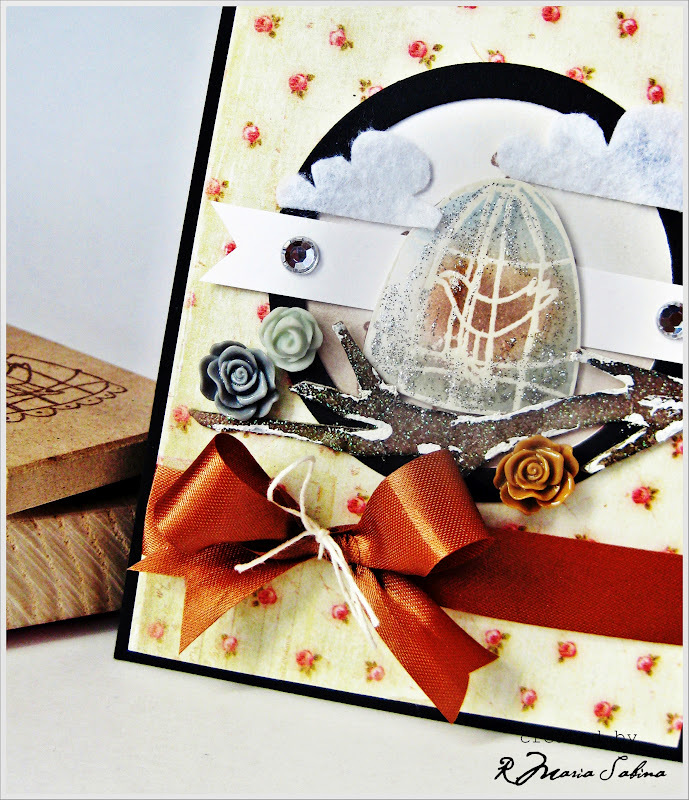 To play along, please use your Stampotique stamps and share your creation by clicking HERE. 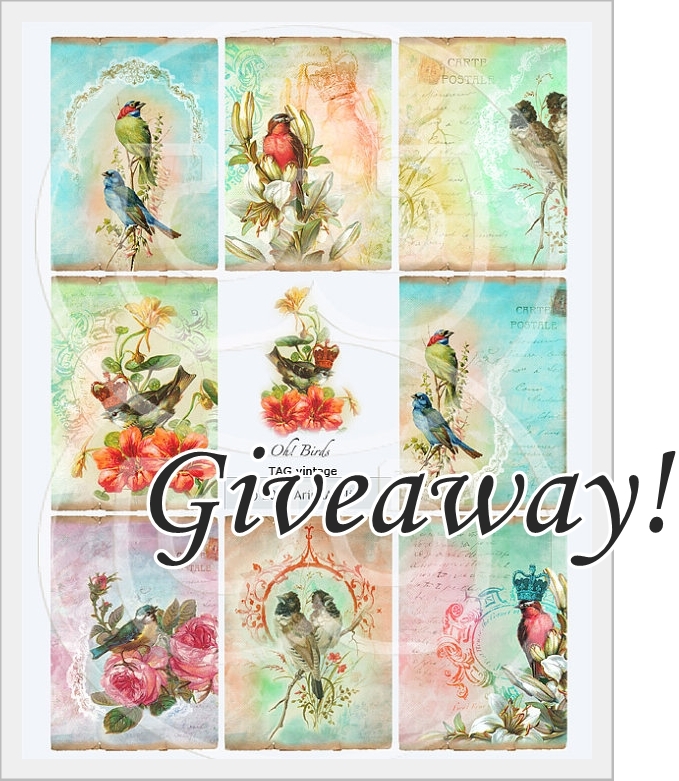 Don't forget you can win $30 gift certificate for Stampotique stamps. Just a quick announcement. Thanks for being very supportive and especially for watching my videos and reading my blog posts. This following GIVEAWAY is sponsored by Adina. Please read the rules before submitting your entry. Thanks! Please leave a comment bellow and let me know what's your favorite craft style. Happy Easter to all of you who celebrate! 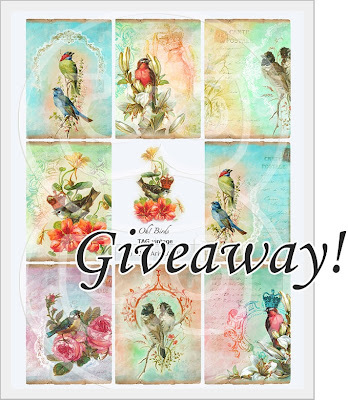 Just a quick note to let you all know that I'm going to have a GIVEAWAY when I hit 500 ''LIKEs'' on my Lollyrot Scrapbooking Facebook Page. All you need to do is to click ''LIKE'' and share the page with your friends. Thanks for the great support . 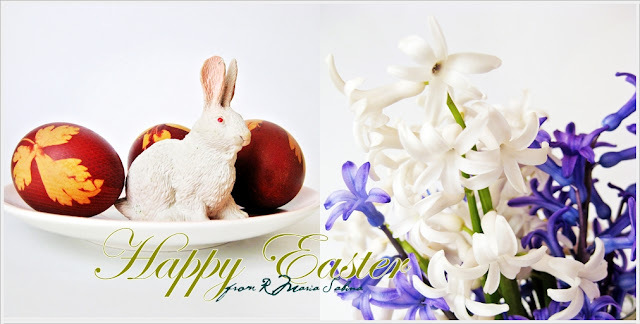 Have a great Easter time! Hope you enjoyed your week. Easter is coming up this weekend and I can not wait to eat traditional homemade meal. Today I have a quick creation to share. I've tried something new and I really love it! I will definitely gonna make some more. ... a Telescoping Circles card. It's easy to make and if you want to watch the video tutorial then please click here. 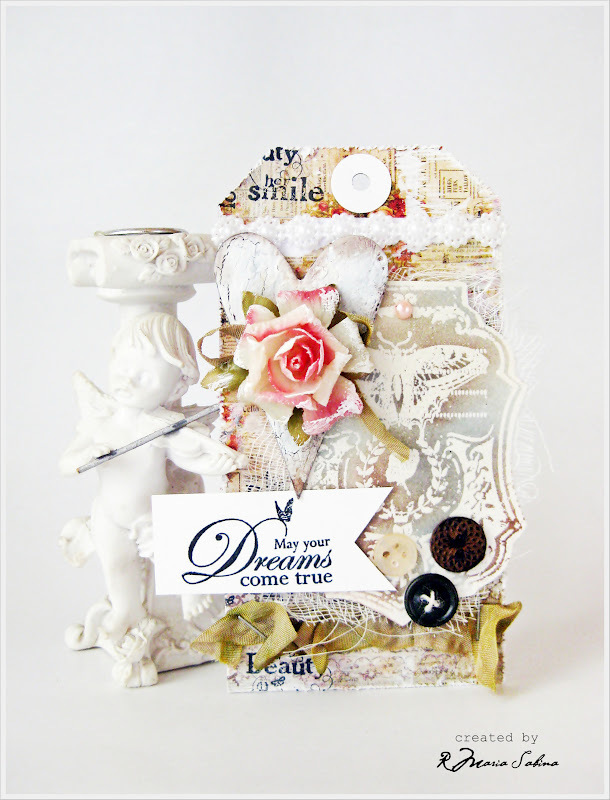 I used Sleepy Time Sophie digi stamp by Sweet Nothings Stamp Co.
Don't forget to subscribe to my Youtube channel for more tutorials and ''LIKE'' my Facebook page for more updates. That's all for today. What do you know about doodles? Kaz is our hostess over at Stampotique Designer's Challenge today and she has challenged us with: Oodles of Doodles. For this tag I used stamps , ink and black pen. I really like it! 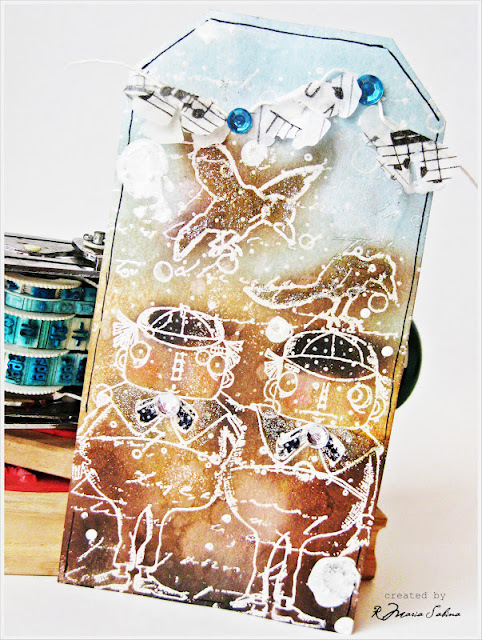 I used Birds and Bugs Cube , Bubbles , Vintage Script and The Tweedles stamps all by Stampotique. If you want to win the $30 prize then please join us for this weeks challenge to use doodling on your card. 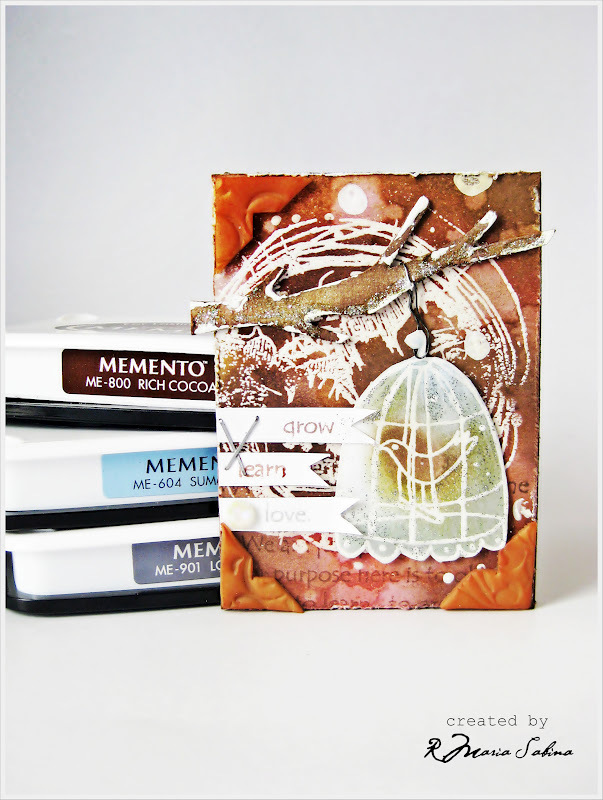 Remember to use STAMPOTIQUE only stamps for your creation. ''Be careful what you wish for'' . I really like this quote. But the question is : is it ever enough? This quote inspired me to create the next project. For this shabby-vintage tag I used Pink Mulbery Curly Rolled Edges Bunched Flowers and White Flat Back Daisy Flowers Pearls from Pro 31 Designs. You can check Esmeralda's Etsy shop here. Don't forget to check out my Facebook page for more updates. Thanks. I hope everyone had a great weekend. I have been crafting so much lately. But I can't craft without music . Right now I'm listening to Kyla La Grange - Been Better. Beautiful song! 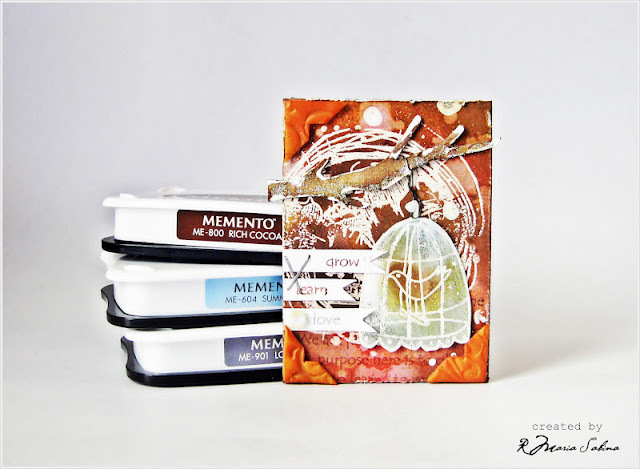 Today I made a quick and simple card using a cute bird stamp by Stampotique . For this card I used Bird in a cage stamp by Stampotique Originals. Don't forget to check out their website. Happy April Fool's day! Did you get pranked today? If not then you're lucky. I have a quick mini card / tag to share today. This is going to be my very first creation for Sweet Nothings Stamps Co.
For coloring I used Promarkers and Copics . This digi image is called: Love letter Sophie . You can check out the video tutorial for this mini card here. If you have a question about this creation leave a comment below or send me an e-mail.